Experience the heavenly feeling of floating on a dreamy soft cloud. This dream can be fulfilled by the beanbag made of excellent, shorn rabbit fur. 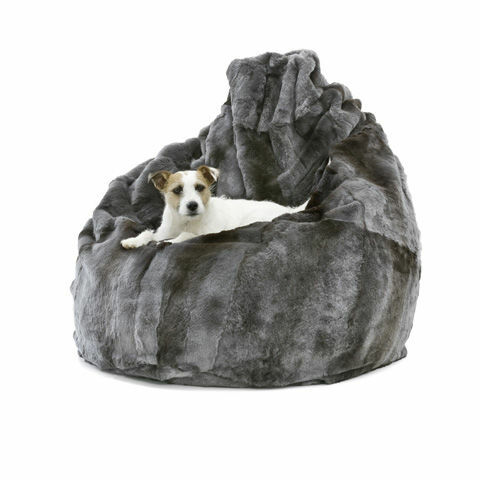 The silky fur offers not only a place for you to dream on, but also for your beloved pets. The beanbag is available in different colours and can be perfectly adapted to every interior. The beanbag is filled with small polystyrene balls.